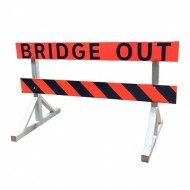 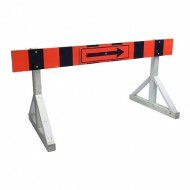 Highway barricade meets Alberta Transportation specifications for use on Alberta provincial highway systems and construction projects/work zones. 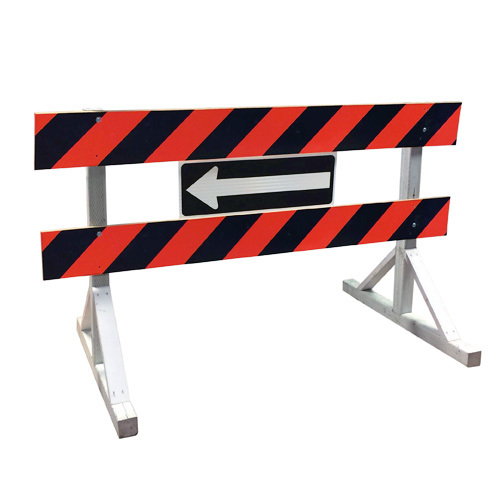 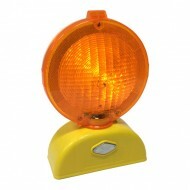 Barricade ships flat and includes 2 pre-built legs, directional arrow, hardware bolting kits and 2 barricade boards manufactured using 3M Diamond Grade (DG3) Fluorescent Work Zone Orange sheeting. 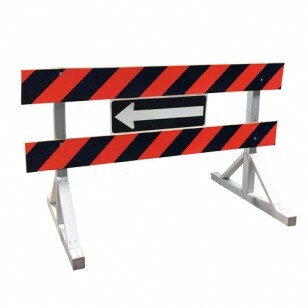 Barricades are 8' wide as per Alberta Transportation specs. 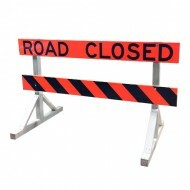 Call our Alberta Hotline: 310-7446 for more info! 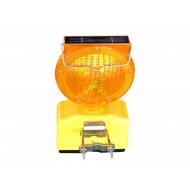 LED light source, 3-volt photocell technology with the popular "D" cell battery (not in..